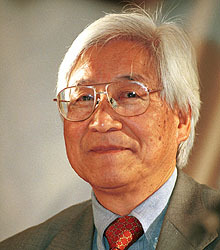 This entry was posted in Life, Politics, Religion, Uncategorized and tagged "under God", American exceptionalism, church, exceptionalism, ideology of exceptionalism, Japanese Christian theologian Kosuke Koyama, Kosuke Koyama, nationalism, politcal candidates, sin of exceptionalism, Union Theological Seminary, Union Theological Seminary in the City of New York by Gordon C. Stewart. Bookmark the permalink. Well it needs some revision for the newness of our country, but the spirit is wonderful, I think. Hi Carolyn, Always enjoy a comment from you, and this sharing adds the wisdom of Tolkien to the dimension. As for length, you may have noticed :-), yours is short by way of comparison with my commentaries. Giving up is death. As long as we have breath and have a life to live, we either live it to the full and take our lumps, or we might as well not be here at all. Giving up is a deadly option. Hanging in for justice, peace, and love feels like life itself. Anything less ia a betrayal. What an important concept – that we are not the world, but only one part of it, like one of the little round nubs on a blackberry – just one of many that makes up the whole berry. In our times nationalism is so rampant. It is hard to remember that only a few hundred years ago we weren’t even here. Our claim to fame is perhaps our newness, and not our greatness. If we all remembered that fact – I think we would be less prejudiced.